Our community team spent some time a few months ago going through some training on how to make the team closer, and hopefully better. Now, it has always felt like together, things were running pretty well… relational trust with each other? Check! But there is always ground to be taken in how we work together. In his book, The Five Dysfunctions of a Team, Patrick Lencioni describes the top 5 issues that potentially arise and can cause teams to crumble, if left unaddressed. 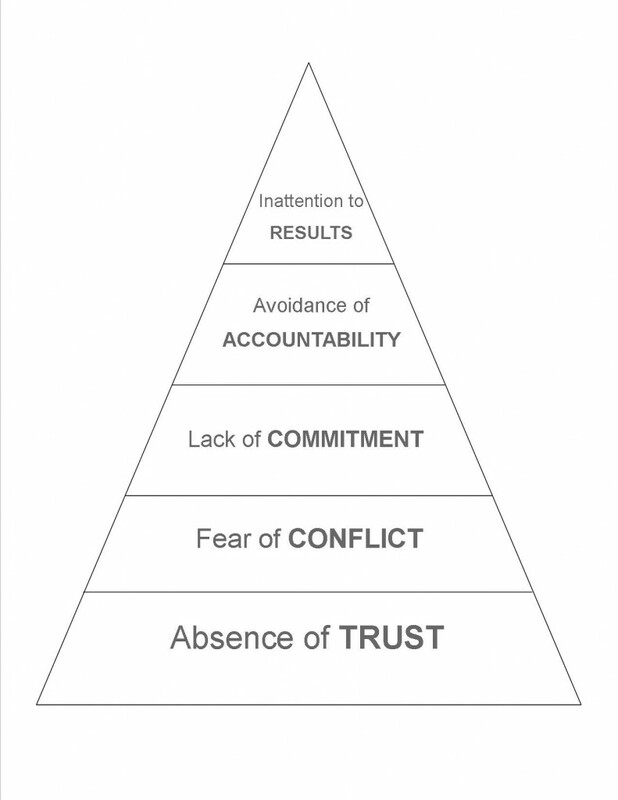 The 5 dysfunctions are diagrammed in a pyramid, detailing the five mistakes that teams tend to make. Dealing with these dysfunctions in a healthy way starts with the foundation — trust. In studying these five critical pieces of team success, the correlation with the health of community groups is clear. 1) Absence of Trust — When there is a lack of trust in community, authenticity is diminished or destroyed all together. An absence of trust leads to surface level sharing and avoiding personal growth issues. For example, sharing that it has been a tough work week, but not revealing the source — layoffs and associated fear that your job may be in jeopardy. 2) Fear of Conflict — A fear of conflict, leads to unresolved resentment, hurt, or anger that will quickly kill a community group. Ephesians 4:26-27 cautions, “Be angry, and yet do not sin; do not let the sun go down on your anger, and do not give the devil an opportunity.” Conflict will happen in community. But we are called to keep short accounts with each other. 3) Lack of Commitment — Commitment requires great intentionality in community. Groups that thrive in community with one another take the time to encourage one another both in scheduled time together and throughout the week as well (Hebrews 3:13). If community is not a priority, it will fall off the radar all together (Hebrews 10:25). 4) Avoidance of Accountability — Darkness and light do not coexist. When sin is allowed to be concealed (hidden from the light), it grows like a fungus on our souls. John 3:19-21 tells us that those who practice the truth come into the Light. John 8:32 encourages that the truth sets us free. Accountability in community can be tough, but leads to freedom. It begins with confession and repentance. The immediate response and follow-up from the group when someone confesses is vital in encouraging continued accountability. Want more information about Biblical accountability? 5) Inattention to Results — Do you know the direction you are heading? Is that the course you want to continue on as a group? Sharing ownership in planning and setting direction will bond a community group and unite each other in purpose. Aligning expectations initially and continually will help in keeping short accounts where expectations may differ. Doing a group assessment together will give tracks to the process and make sure all things get left on the table. So, What Makes a “Healthy” Group? Healthy community groups must build a foundation on trust – trusting that their members are for each other (Romans 12:10). Once trust is built and the honeymoon phase is over, conflict typically arises. The healthiest groups use conflict as an opportunity to sharpen each other and glorify God, instead of running from it (Proverbs 27:17). 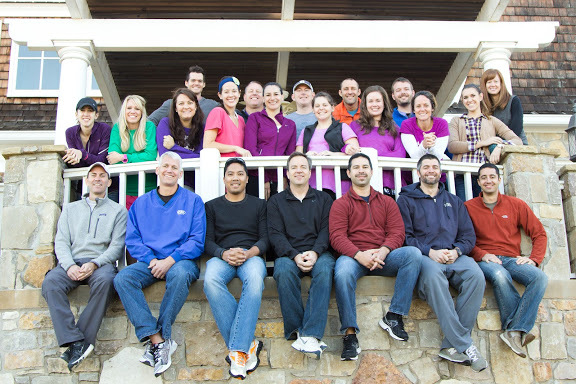 Often, after a group experiences conflict and perseveres through it, their commitment and need for each other is rejuvenated. Healthy groups don’t avoid accountability — they move towards each other to remind each other of the gospel, always seeking to identify blind spots that need to be addressed (1 John 1:8-9). Lastly, healthy groups know the direction that they want to head — they have a plan for their group and are strategic in their time together. They all know the group vision and goals and focus on their roles — memorizing scripture, confessing sin, building healthy relationships…all leading to more fully devoted followers of Christ. What followed the coaching session for our team, was learning how to optimize each person’s unique skills for the team — taking time to identify each individual’s strengths and weaknesses and sharing those with the group. If you drew a pyramid that expressed your groups’ model, what would it look like? What is one way your group can become a better team this week? The post 5 Mistakes That Community Groups Often Make, And How To Avoid Them appeared first on Watermark Community Church Blog.